Whether you are the “Pack Rat” or the “travel light” kind, there are some things everybody needs to know to bring and not to bring. Get your bags out and let the packing joys begin! $50-$75 for spending money for the week (team shirt, devotionals, souvenirs, Cool Beans, the Craft Shop, ice cream, camp memory DVD, etc). Note: There is not an ATM available at the campsite. Please mark all luggage and clothing with the camper’s name. Please bring knee-length skirts or dresses for the evening services. Any fashion worn must come at least to the top of the knee and cover the shoulders. Low necklines (front or back) are not acceptable camp attire. Loose-fitting pants, jeans, or knee-length fashions may be worn except when otherwise specified. For swimming, dark shirts and shorts will be worn over swimsuits. Long pants and collared shirts are required for evening services. Fashions to the knee may be worn at other times. The Wilds of New England reserves the right to ask anyone to change his or her outfit if, in the estimation of the staff, it does not comply with these standards.Campers are also expected to stay the entire camp period except for sickness or an emergency at home. A request for items left at camp may be given to the office (phone or email) within 30 days after the completion of that particular camp program. Lost items not requested within 30 days will be disposed of. If your items are found, the shipping cost will be the only expense, and can be paid for by credit card through the Main Office. All meals are included in the price of the camping program. Those on special diets must bring their own necessary supplements that can be prepared in a microwave. 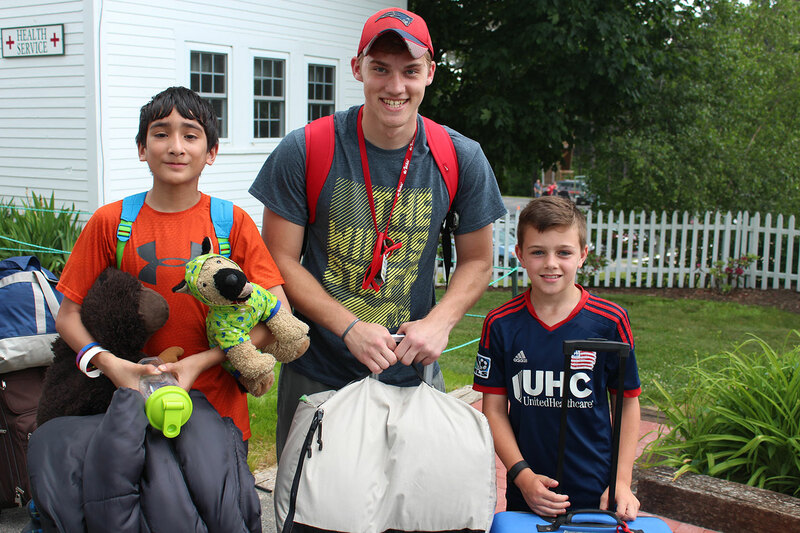 Should your arrival be delayed past the end of the registration time, please phone the camp office at 603.529.0001 to hold reservations and give us an estimated arrival time. As a Christian organization, The Wilds of New England maintains high standards of conduct and separation. Campers who use tobacco, alcohol, or any form of illegal drugs will be dismissed. Any non-cooperative or noncompliant campers will be subject to dismissal.